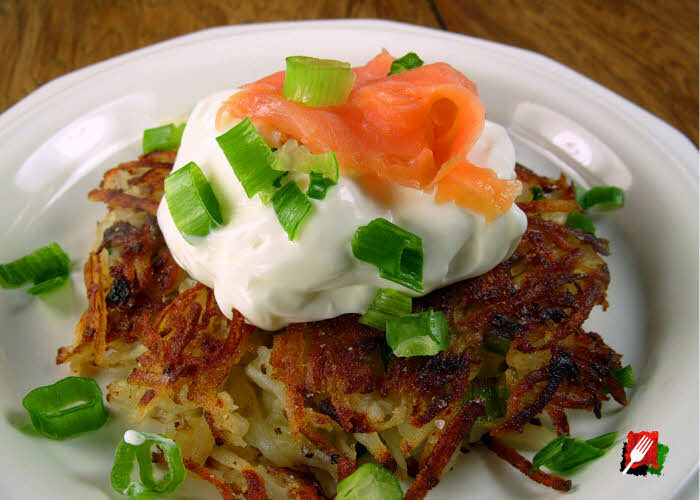 How to Parboil Potatoes for Quick and Delicious Hash Browns, Potato Pancakes, and much More! Parboiled potatoes are a delicious way to quickly make a variety of your favorite potato dishes, and we thank our friend Keith for bringing this time-saving tip to our attention. 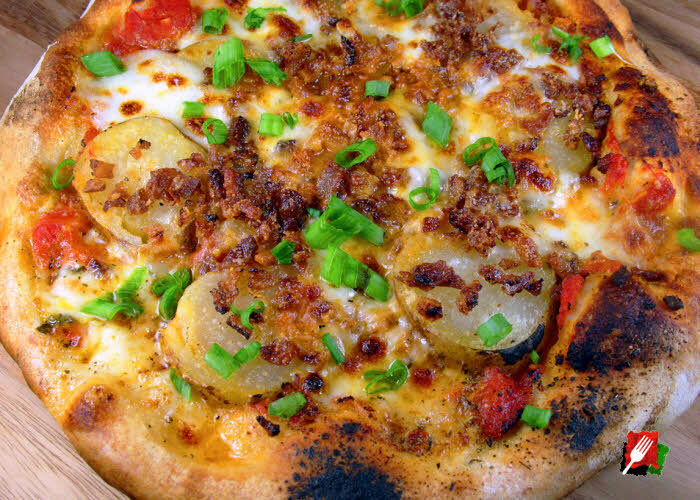 To always have ready-to-make potatoes available, parboil potatoes once a week, then they’re always ready for quickly making hash browns, potato pancakes, potato wedges (steak fries), smashed potatoes, even a variety of our delicious artisan pizzas! 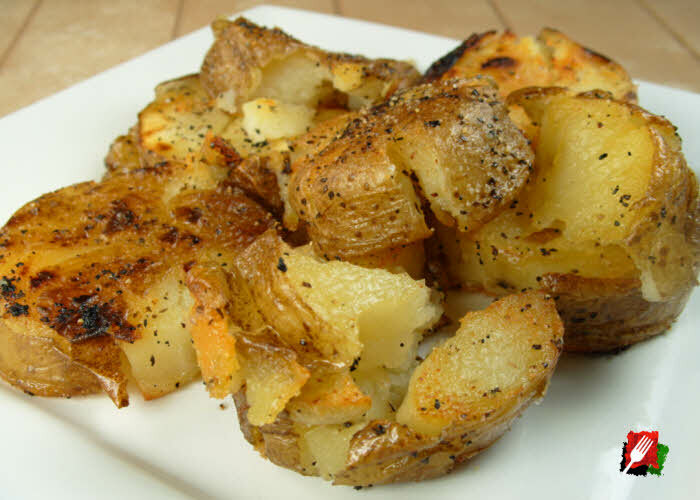 Parboiled potatoes cook much faster, aren’t wet, and won’t discolor after shredding! 1. 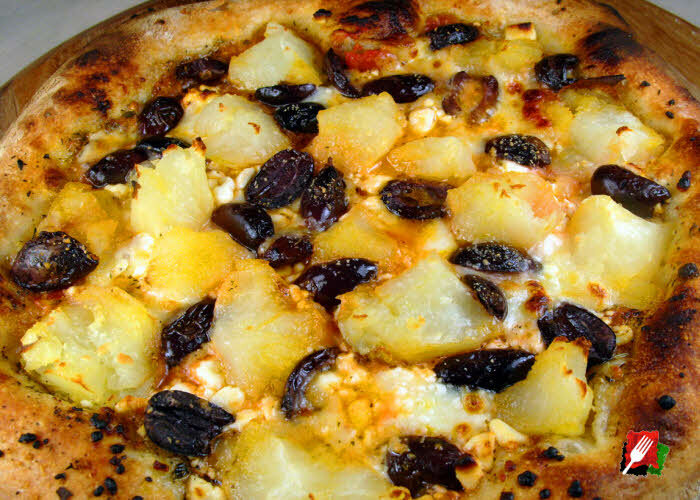 Select good medium-sized russet potatoes that are firm, smooth, and about the same size for even cooking. 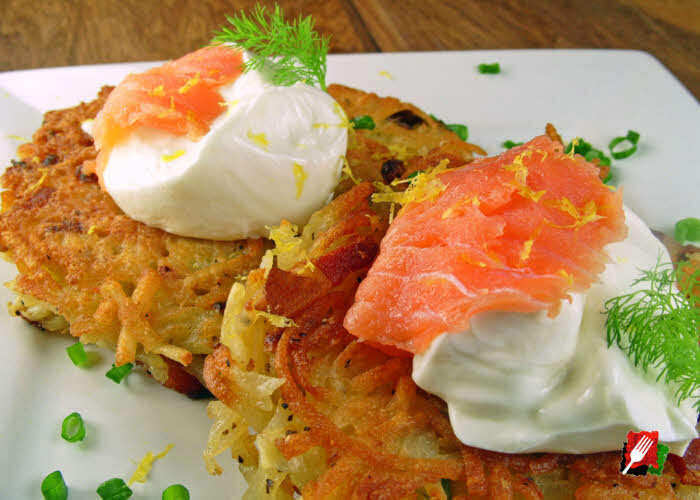 Avoid any potatoes that are green or sprouting. 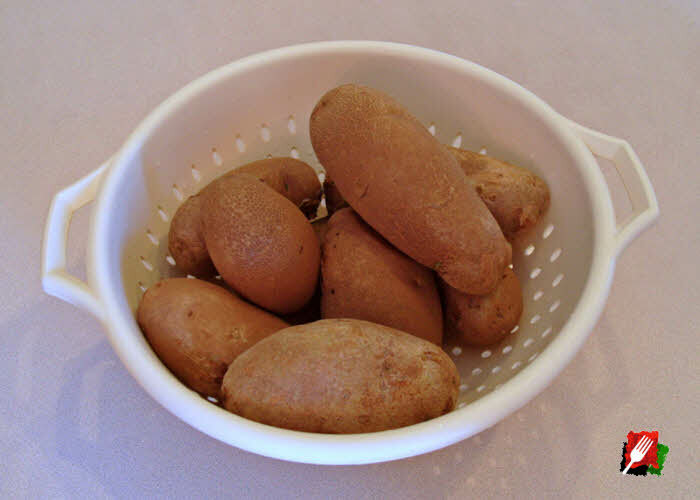 Clean the potatoes by scrubbing them under cold water. 2. Place the potatoes in a large pan, then cover with cold water. Stir in the salt and place on the stove. Bring the water to a boil over high heat. 3. 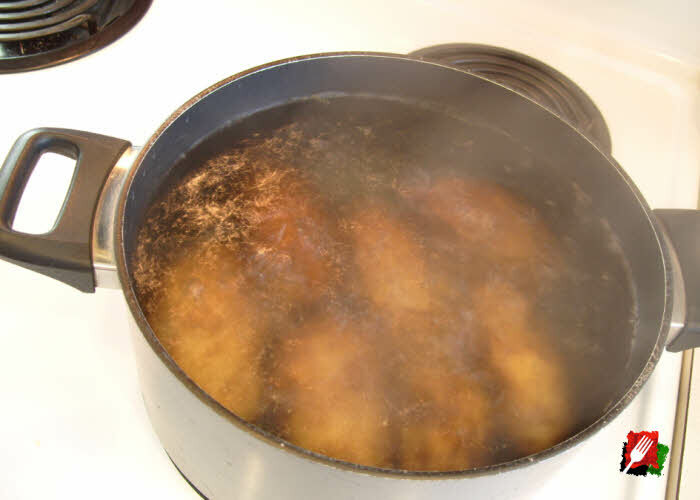 When the water starts to boil, reduce heat to medium-high, then set a timer for 15 minutes. After 15 minutes, stick a fork into a potato to check for doneness. They should be slightly cooked, but still be firm. Don’t overcook! You’re looking for parboiled potatoes, not mashed potatoes. 4. 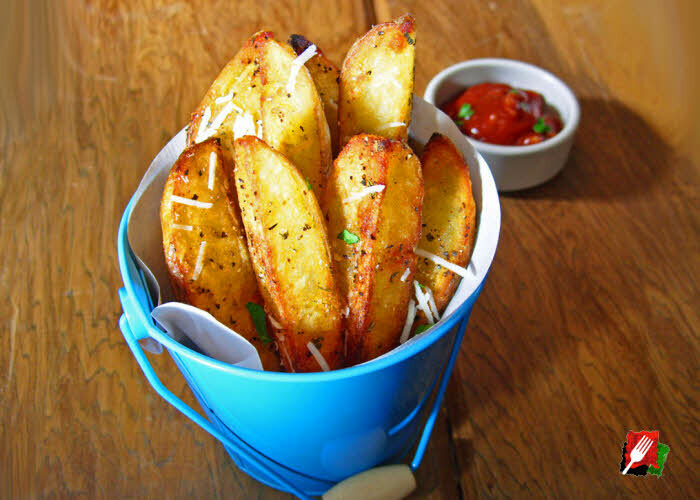 When done, immediately remove pan from the heat, go to the sink and gently pour the potatoes into a colander to let air dry for 1 to 2 hours. This drying process minimizes moisture that can build up during storage. When the moisture has evaporated and the potatoes are completely dry, wrap them in paper towels and store in a large plastic bag in the refrigerator. Mark the parboil date on the bag. Most parboiled potatoes will last 5 to 7 days in the refrigerator as long as it’s cold and there is minimal moisture in the plastic bag. 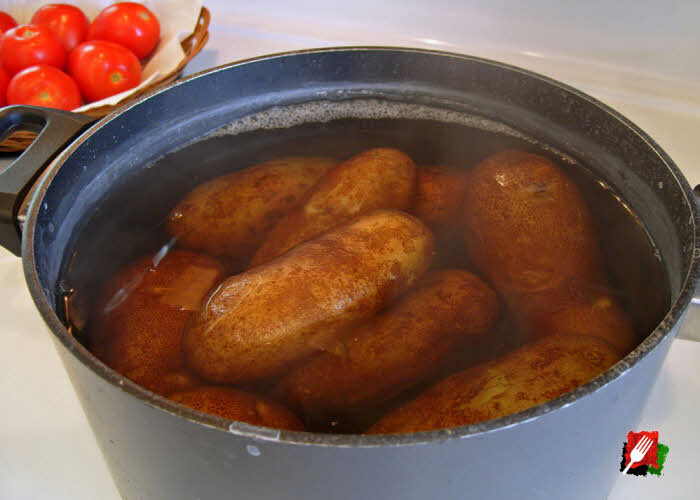 Parboiled potatoes are best when they’re prepared at least a day in advance of use.